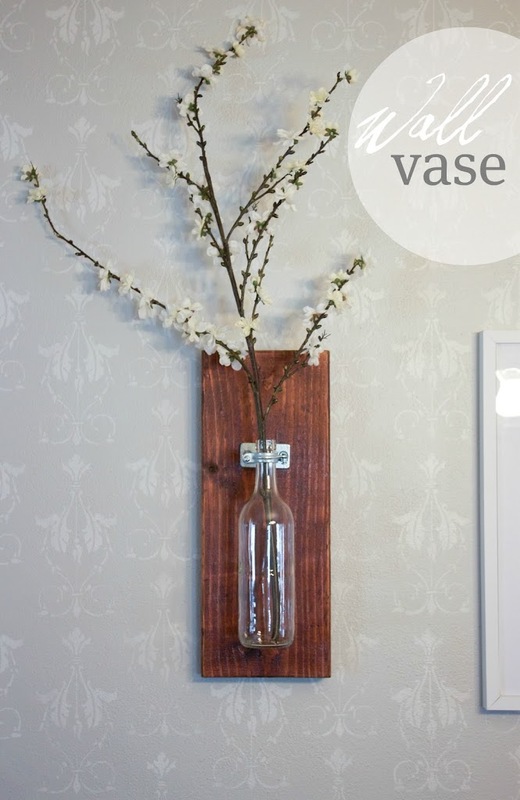 I made these wall vases for my dining room that I recently updated. I will have more on the complete dining room later, but I thought these wall vases were a great addition to the room. first. Pick up these supplies: a 2x8 piece of wood cut in to two 18 inch pieces. Two 3/8 inch ceiling flange. Two 3/4 split ring hanger. Four 12x1 1/4 wood screws. 3/8 inch threaded rod cut in to two three inch pieces. Two saw tooth picture frame hooks. Two glass bottles. Flowers. second. Stain your two wood pieces. third. 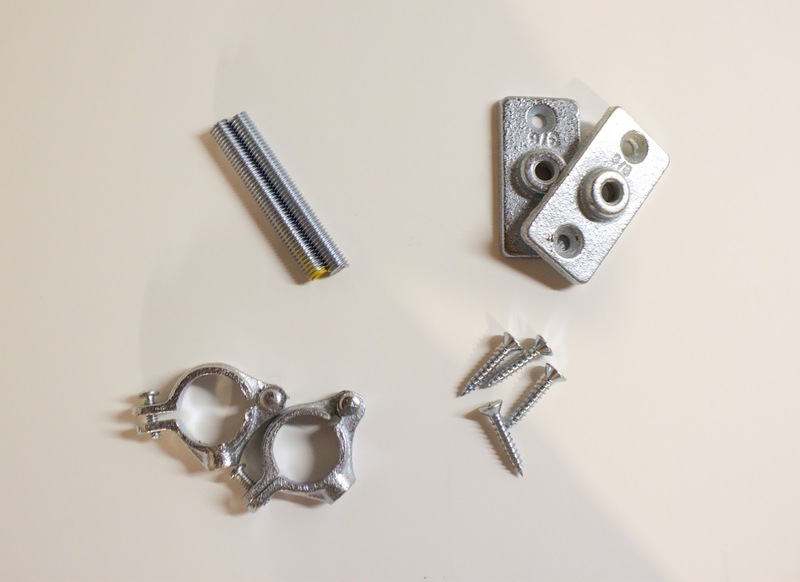 Attach the saw tooth picture frame hooks on the back. fourth. Screw on the ceiling flange. fifth. Screw in the threaded rod then screw on the split ring hanger. sixth. Attach the bottle and the flowers. When you open the split ring hanger, put in the bottle then you screw the split ring hanger shut. Make sure not to tighten it too much, I almost cracked my bottle. These are my "springtime" flowers. I like that I have the option to switch them out throughout the year.